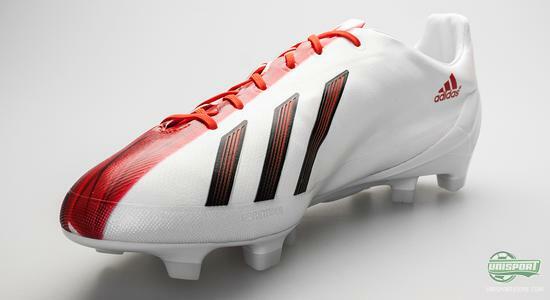 Adidas have unveiled Lionel Messis new signature boot, which is an Adidas F50 Adizero with a very unique design, in honour of the worlds greatest football player. Messi will, in the foreseeable future, be playing in his new Red/White Adizero, which has been designed with Messis identity and passion for the game in mind. 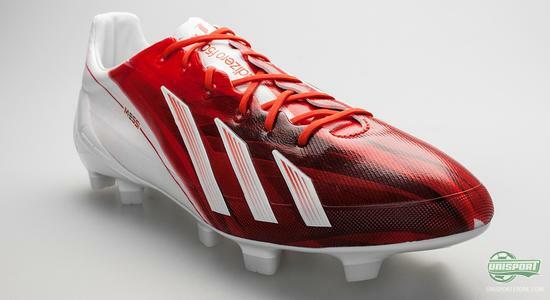 Is the Messi colourway something you like? 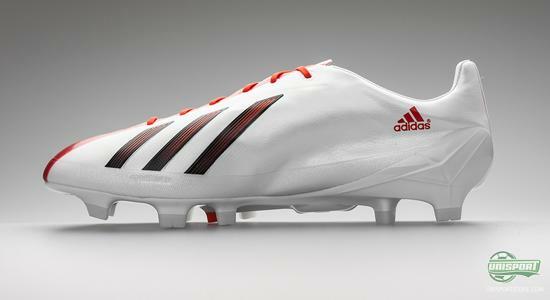 Expected delivery in the beginning of March  Just 205. For Messi, 2012 was his, so far, most prolific year and with an astounding 96 goals, he beat Gerd Müllers old record for most scored goals in a calendar year. The unbelievable achievement also helped contribute to, that Messi won his fourth consecutive Ballon d'Or  the golden ball, which is a physical token, which hails him as the greatest footballer at the moment. 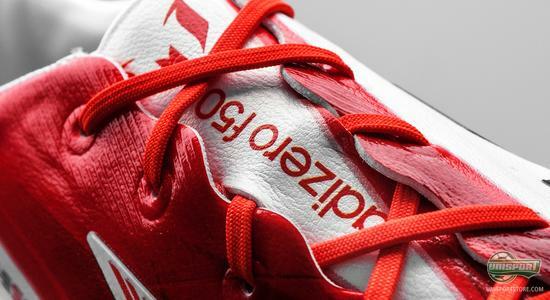 The title has been celebrated by Adidas, with a signature boot for the little Argentinian, which gives Messis favoured boot, Adidas F50 Adizero, a completely new design, with a dual red and white theme. 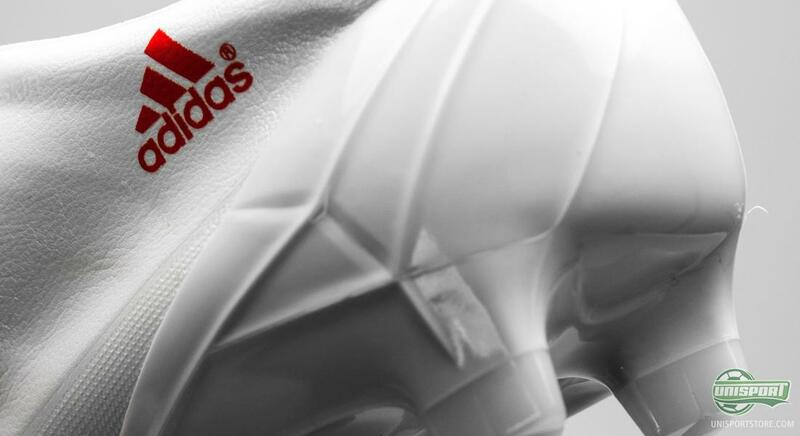 Adidas and Messi have been working on the boot for two years, where Messis movements on the field have been analysed and reflected in the Adizero. The design is made to reverberate Messis footballing philosophy and includes Messis own logo, which was launched in 2012. 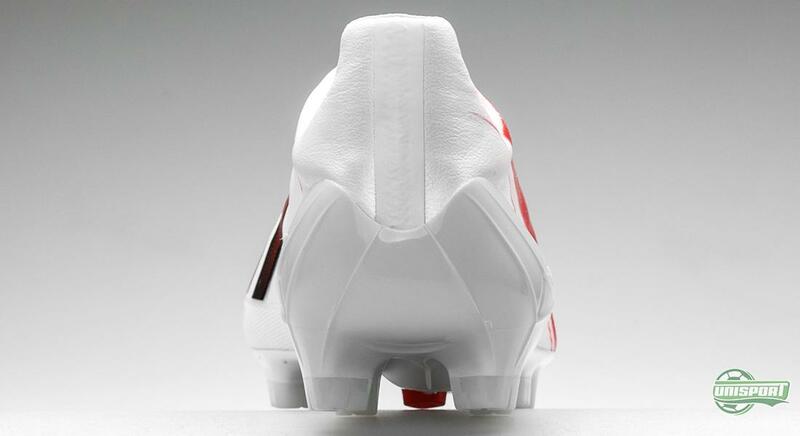 The beautiful and enticing deep ruby and clean white colour each represent a side of Lionel Messi; Red is his favourite colour, it shows his passion for the game and furthermore symbolises the danger Messi poses on the pitch. The white colour symbolises lightness and speed, which is just emphasised further by the speed-inspired graphics, which the Adizero is made with. 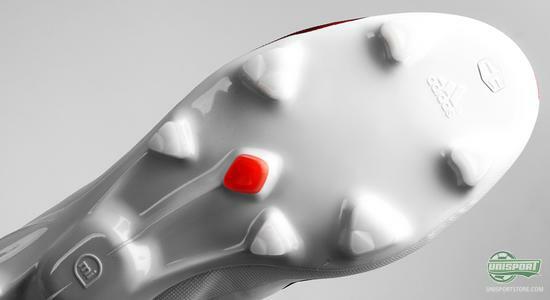 Messis signature boot is made with a completely white Sprintframe 2.0-sole, with just a single red stud in the middle breaking the landscape. 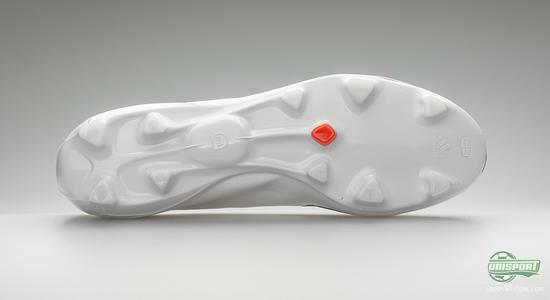 This one stud symbolises Messi on a football pitch alongside his 10 team mates. 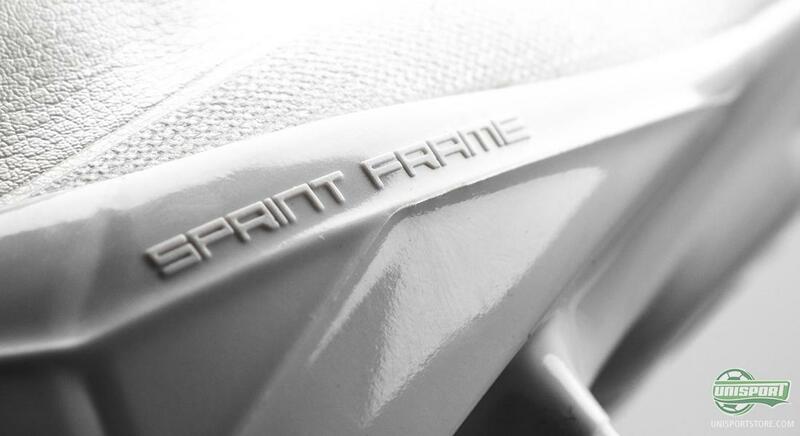 Just like a stud-configuration could not stand alone, neither can Messi, which is a symbol that stands testament to Messis humbleness and respect for his teammates. 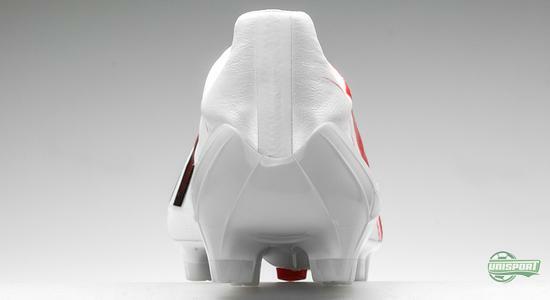 On top of the graphical design changes to the boot, Messis signature boot has also had some changes made to the upper. 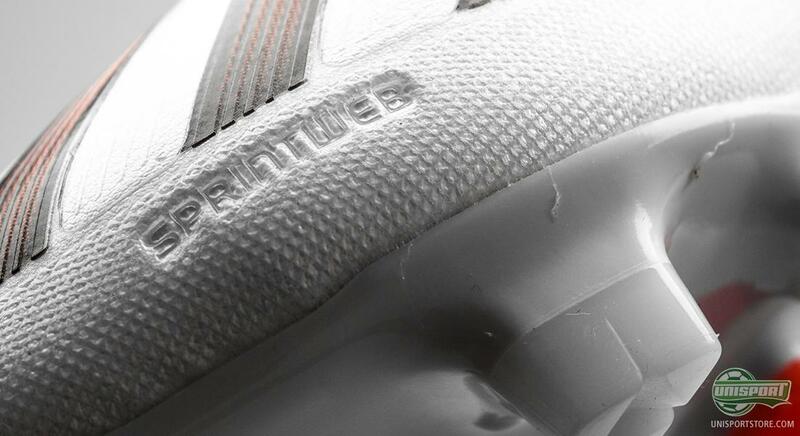 Instead of having an upper of adiLITE Twin, Messis version is made with DUALMAX, which is a 1,5 mm thick microfibre-type with a leather emulating finish  this makes perfect sense when you consider that Messi prefers playing in the leather-version of the Adizero. Adidas F50 Adizero Red/White Messi Edition is equipped with SprintWeb on the heel, which gives it stability and supplies your foot with the support it needs, at the same time as it meaning that the upper can keep itself upright. 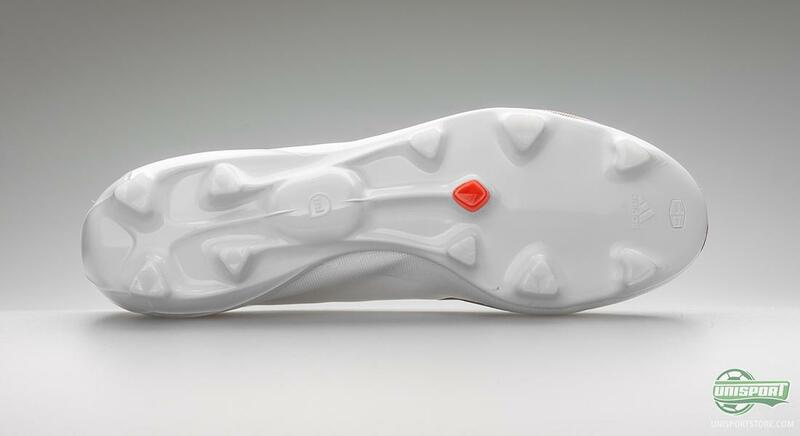 The strength of the upper also means that it can be worked and made as thin as possible, so you get a more precise touch and lower weight. Lionel Messi will naturally be the only professional player, who gets to play in the colourway and we are already looking forward to seeing the little wizard rocking his new, completely unique Adizero-boots. 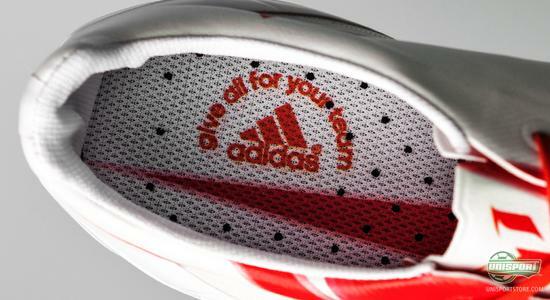 Messi will be showing them off in February, so we expect to see them very soon on the feet of the Argentinian Magician. 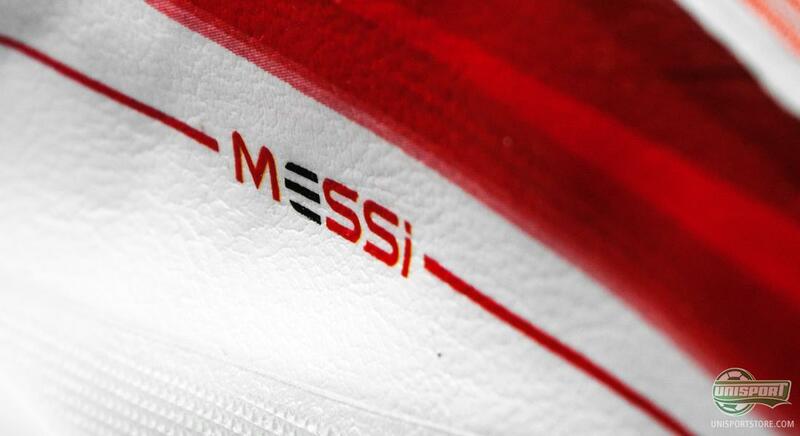 What do you think of Messi's new signature boot  and was it about time he got his own model? Feel free to give us your opinion in the comment-section down below.